The Zoo service on the Local Computer started and then stopped. Address already in use by another process. process ID, then look in Task Manager to find the name of that process. Following the directions above, I was able to determine that the conflicting process was Skype. Launch the Skype user interface and then pick Tools → Options. 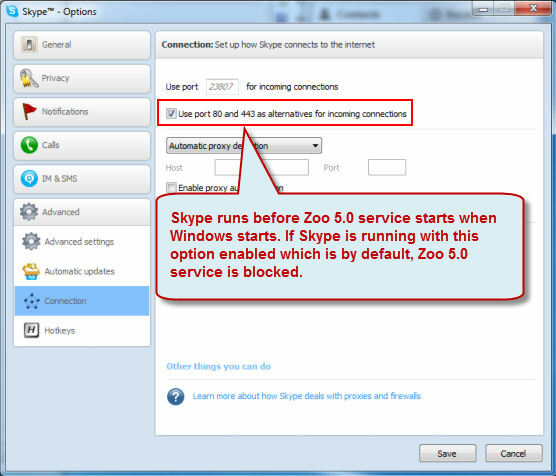 In the Skype Options dialog box, select the Connection page. On this page, uncheck the Use port 80 and 443 as alternatives for incoming connections option.